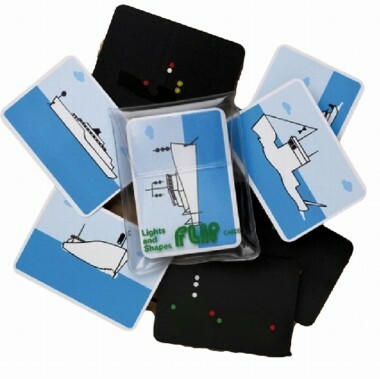 A pack of cards in a plastic wallet with questions sometimes pictorial on one side and the answers on the other. A great way to mug up on those boring but essential aspects of sailing knowledge. One of a series of 8 subject packs.